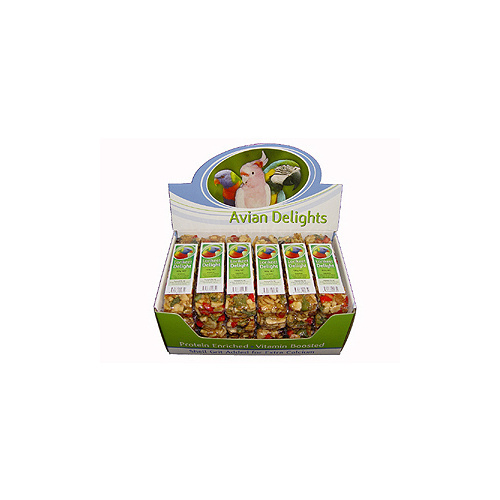 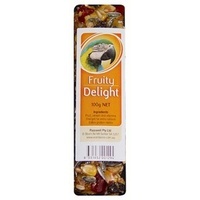 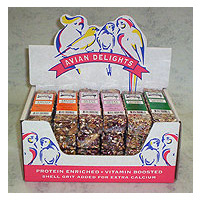 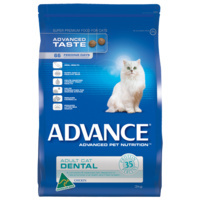 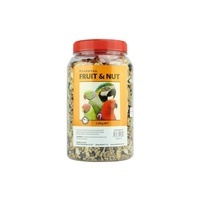 A range of seed, nut & fruit bars which are all protein and vitamin enriched. 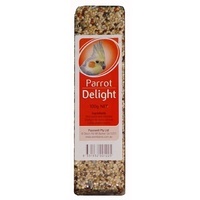 Shell grit is included to add calcium. 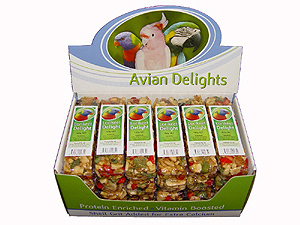 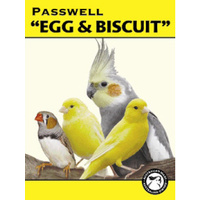 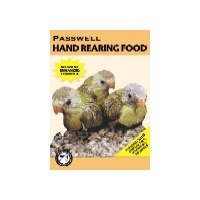 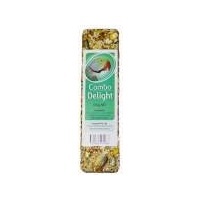 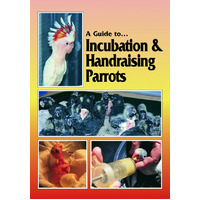 Varieties include Budgie, Canary, Parrot, Combo, Fruity, Nutty and Lorikeet.